What is the Ancona to Zadar Ferry timetable? This ferry currently runs up to 5 times a week, and has a sailing time of about 6 hours. The actual timetable itself will be available to view once you start to make your booking. Trip was quite and all ok, convenient price and quality, no problems at all at the check in. no one controls the reserved seats area. "on time and nice staff"
all good: friendly staff, good bar, good self service restaurant and toilets are clean. Reserved seats not really comfortable for the night crossing. 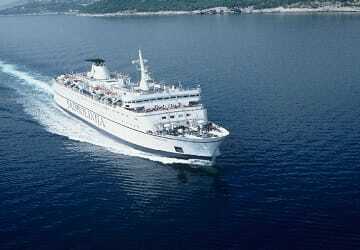 How much does the Ancona to Zadar Ferry cost? Where is the Ferry Port located? Who will I be travelling with on the Zadar from Ancona Ferry? 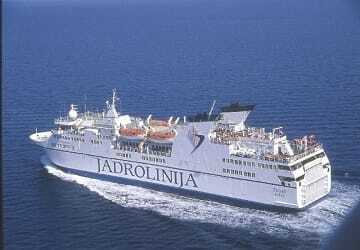 This ferry route is served only by one ferry company at this moment, Jadrolinija. For more information about this company, please visit their exclusive operator page.